There's been some more Devil's Third news, which in this case brings useful information and a notable surprise. First of all, Nintendo of America has confirmed that the action shooter will be published at retail (and on the eShop) by the company in the Americas - no final date has been given, though we do have a Q4 window. That's certainly positive news for North American gamers, even if there's a wait well beyond the late August arrival in Europe. There's a curveball in Nintendo of America's announcement, however, as it's also been revealed that a version of the game will be released as a 'free-to-start' title on PC. While the Nintendo-published Wii U title has the full single-player and multiplayer components as expected, the PC version "will offer a multiplayer experience tailored for the platform" and be published by developer Valhalla Game Studios. That PC version has come rather out of nowhere, though free-to-play multiplayer-only experiences are relatively common on download PC stores like Steam. It qualifies as one of the more bizarre losses of exclusivity for a Wii U title, though the Nintendo-published release will more-than-likely be far more substantial with that solo campaign also included. Another intriguing twist with Devil's Third, then. How many of you in North America are planning some festive devilry with this or are - dare we say - tempted by the free PC iteration? Let us know. Now we just wait for the comments on YouTube and other sites saying this proves Nintendo is going 3rd party. What a twist. Is there a link to the official announcement, btw? Crazy stuff. I guess it would go on steam? A Nintendo-financed game on steam, nuts. I have no interest in playing this game, but the development process has certainly been intriguing. Okay...this came out of nowhere. My guess this is just to temporarily quiet things down a little. If this bombs in Europe my guess is that It won't come out in the USA regardless of what NOA is saying now. Not sure if brilliant or just crazy. @Genesaur No, the PC version is being published by Valhalla Game Studios. So, any chance NOA knew about the free PC multiplayer and THAT was making them hesitant to publish? Not the quality, title or subject matter? Well that came out of nowhere. Wait, did they specify which Q4? As in, did they specify Q4 of the calendar year and not the fiscal year? If they just said Q4, then it could come to NA sometime early next year before March 31st. Personally, I might pick up the PC version to give the multiplayer a go. @rjejr I think those rumours were just that someone else was publishing, but not realising that it was that someone was publishing a multiplayer PC port. I was reading the comments on Facebook about skills and this and that about the gamepad. I was jokingly saying to myself that he was playing on the PC version that's why he doesn't noticed any lag. Turns out I was right about that. They'd better tread carefully with performance on PC. "PC Master Race" PC gamers get cranky when you don't include their favorite kind of anti-aliasing. But I guess now I can try it (or at least, the multiplayer). Still rather surprising though. Now that it's not Wii U exclusive, let's see just how fast those vocally supporting it against criticism back away slowly. I'm more puzzled by this news than anything else, but I suppose it makes sense, and that this factors into its strange path to release in North America as this was being ironed out. I imagine it'll run better on my PC than the Wii U version, given that Unreal 3 isn't officially supported on Wii U, so if I'm ever truly curious, it's good to know I can test it out there. If it's been optimized for PC whatsoever my relatively pathetic PC should be able to run it pretty well, though. 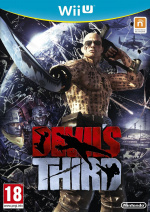 In other news, Devil's Third is now a real-time strategy/minigame collection. At some points I thought this game looked bad, but at other points I was a little interested. But now it apparently isn't that good according to the previews I've read, but perhaps I'll try out the "free-to-start" version on PC and see if the game still interests me on either platform. I'll still want to read the reviews, though. Will still be buying it on Wii U, but I'll try the PC's multiplayer portion as well. I'm sure this will help the game make profit but its still steange. @PokeMario No, even better: it's a hidden-object game. Everyone's favourite genre. This will be a bargain bin title by next year. @rjejr Couldn't help but notice your avatar. Happy birthday. I don't think this is a good move. Reviews have not landed, but previews of Devils Third point to a bad single player campaign. People were hoping for the multiplayer to be, at least, better so that they can warrant a purchase. But now that that specific portion of the game is available to play on PC for free... I can't help but think Nintendo has lost some sales there. Of course, we still have to wait for the reviews. I'll be buying the game, but I wish I could say the same for those even on the fence for this game. Definitely going to be picking up both versions of this, really hope at least one of the communities thrives online as the online looks incredibly fun. If that was the case, Codename STEAM would have never been released in Japan and Europe. What's the point of buying the Wiiu version? And isn't this an exclusive? Oh god i am done with this game. @TwilightAngel Aw, come on. There's the single player campaign! Clearly even Valhalla realized what a dumpster fire Wii U is and decided to take measures during development in the last few years. Good for them. The children that frequent this site won't understand the business side of this, but I will still pick it up for Wii U and monitor the Steam side of things. Considering the Wii U Single Player is nothing impressive at all, I'll be getting the Steam version once I get a better PC. At least the online looks ok, nothing special but ok. Devil Third single player isn't worth the 60 dollars at all considering how boring a glitchy it looks. @Genesaur Maybe trying to recoup any costs? I have no idea. @Koopa-King I swear, every time we hear more about this game and get some answers, a thousand new questions open up. So... a Nintendo published game that is on more than just a Nintendo system? This is a first... It will be odd seeing Nintendo as the publisher on steam. @gatorboi352 Let's not try to spin something into something it's not just to fit an agenda. None of us have any idea if the Wii U's shortcomings had anything to do with this. I'd wager the Wii U nothing to do with it in this instance. @Aozz Ah, thanks. That settles that. @ikki5 Valhalla is publishing the PC version. @westman98 I am not talking about a policy in general, I am talking about this game and a way for Nintendo to get away from it. Reminds me a little of Disaster Day Of Crisis where it was going to come to the USA and then no. "...the PC version "will offer a multiplayer experience tailored for the platform" and be published by developer Valhalla Game Studios." And this wouldn't be the first Nintendo-published game released on PC regardless. @gatorboi352 We have little to no proof that the Wii U is the caused of this. The Wii U wasn't even mention to begin with until you brought it up. Don't jump on conspiracy theories so quick. And you have no right to say none of us knows about business and call us children considering it safe to assume nobody knows about business besides Rcmaxdiax. @DiscoGentleman Are you going to call any of the others over too; so you can drink together? The show will start soon. It makes sense if they were concerned about there not being enough players to make online work. Oh, wow, I was only going to buy this for the multiplayer. Not sure whether to buy it early or just wait for the free PC multiplayer game, which will probably have a longer lifespan than the Wii U version. Well, this just turned Anti-Climatic. @DiscoGentleman Nah. I've already had my fill for today, but thanks for offering. Link to official announcement pleaseplease?! Considering the Singleplayer mode getting bad reviews, and im mostly interested in it for its Multiplayer anyway.. i feel nintendo wont see many sales, depening on how the mp only stuff on PC evolves. @gatorboi352 Yeah, THAT'S the reason. Nothing to do with the game being a disaster and that the PC version is a desperate attempt to recoup costs. Nope. Calling others "children" doesn't help your case either. @MarioPhD People are interested in Devil's Third more because someone bothered to save it from the scrap heap than about exclusivity. The fact that someone was Nintendo, who have a track record of avoiding M titles, makes it all the more intriguing. The same curiosity was extended to Bayonetta 2 and there are still people panning that. Well, the game looked bad. And it still looks bad. And yet I say about the "free to play" version: FAILURE! There were 2 games coming out before July 1 2016 that didn't seem to get their due at E3. I really hope Fatal Frame 5 can get as many headlines (and a physical release!) as Devil's Third when all the dust settles. Interesting ... I'm eager to see what comes of Nintendo's recent willingness to experiment beyond their comfort zone (Free-to-play games on 3DS, mobile deal with DeNA, rebuilding/succeeding Club Nintendo, and now this). @SavoirFaire I hope you're right. Fatal Frame looks like the type of experience the Wii U needed at launch, but hey, better late than never. I'm still excited to give it a go! It never ends with this game does it? Not entirely surprised by this revelation. Still gonna buy it though. So I guess this means Bayonetta 2 will probably get a PS4 and XB1 version then? @Grumblevolcano Only if Nintendo allows it. So no. If Bayo 2 went to a non-Nintendo platform, it'd be PC. Don't see it happening though. Unless its absolutely mindblowingly amazing then I don't see it having much of a splash on Steam. PC already has a plethora of shooters so it has to be real good to attract people to it. Making it free to play is probably the best choice. @FunkYoSelf This is taken from a press release, sent to us by NoA via email. @IceClimbers But wouldn't the same logic have applied with Devil's Third? Cool I'll just buy the full PC version instead now. So the steam version rumor wasn't just a rumor. This is weird. @Grumblevolcano Exactly. 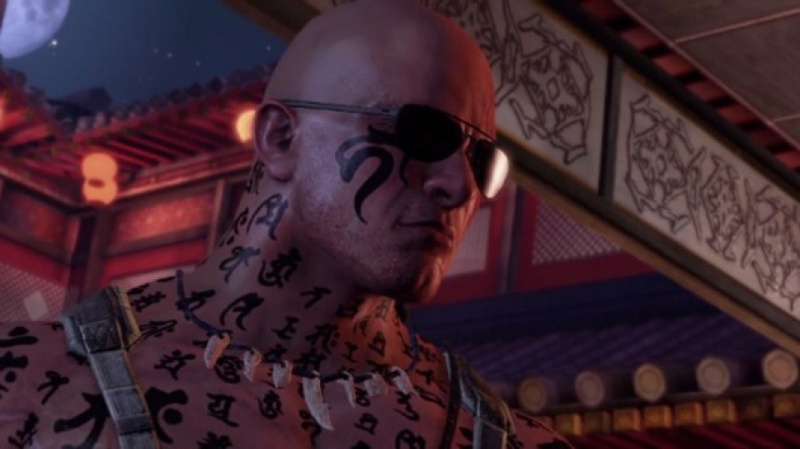 Nintendo permitted the PC release of Devil's Third's multiplayer. If Bayonetta 2 comes to another platform, it will be due to Nintendo permitting it. PC is the only non-Nintendo platform they'd port it to anyhow, and even that I seriously doubt. The only reason to port Devil's Third's multiplayer to PC as a F2P game is so they can make their money back and (potentially) keep the multiplayer alive. Bayo 2's online multiplayer was never a very big component anyways, so its multiplayer dying off doesn't matter. Bayo 2 also sold, what, over 700k copies? Not great, but not horrible either. Now I'm going to just download the free version instead. Whoa, whoa, whoa, whoa, whoa, whoa! What am I reading here?! Okay, technically speaking, this doesn't mean anything, since Nintendo isn't involved with the PC version at all, and the singleplayer is missing, but this is a very unusual step for a game that is getting published by Nintendo on Nintendo consoles. @Kaze_Memaryu Exactly, thats a misfire on pretty much all fronts. As a "shoddy console port" it has no way of surviving the PC crowd, not even as a f2p multiplayer game. All the game needed was a WiiU demo. Maybe even one with an abridged multiplayer mode. But in the day and age where even Solitaire games must have online Multiplayer with an open, procedurally generated world where you can craft your own cards and must have infinite fps (i might have gone overboard with this rant...), the single player campaign wont cut it. @Kaze_Memaryu "then we have the PC Masterace jacks who can now run their mouths about the WiiU"
The PC Master Race doesn't trash the Wii U, they love it because it's not trying to be a PC. Expect "console peasants" to make a big deal out of this. @rob955 this is a good point! Cross platform play doesn't happen a lot between the other two consoles but it would be good to see if they can pull it off for Devil's Third. But in terms of people buying a Wii u for the full version of the game. Don't hold your breath haha! But I'm still not getting the game. @JusticeColde Of course, that's just as likely. And it would spark defensiveness from the other side, and then we have another pointless flamewar... but it just can't end well, I think. @arnoldlayne83 Not really. Bayonetta 2 was bombarded with controversy, had very little post-launch advertising, and is also comparably niche as a hack 'n slash with high difficulty potential - to have such a title sell 700k copies on the WiiU alone, despite not having any other comparable games and, by extension, lacking the target audience, is actually very impressive! Keep in mind that Bayonetta on PS3 and X360 combined sold about 2m units total, and both consoles had larger install bases than the WiiU. Sure, it could've been better, but it's still an impressive score overall. @BLPs Screenshot press release emails from Nintendo? Seriously? @Mr_Zurkon This whole thing just keeps getting weirder. Now, it feels like he doesn't even care if the game performs well on Wii U, much less that Nintendo helped him get the project back on its feet. that's the 87th article about Devil's Third on this site; go for 100 !!!! @MadAdam81 - That makes even more sense, seeing as Valhalla Games technically IS publishing it in NA, just on PC. Well done sir. Regarding the press release, Nitneod, in all their wisdom, has a press lease website that is password protected so nobody can see these press releases. They don't put it on Facebook or tweet it, they password protect their marketing and advertising and then wonder why things don't sell. Nintedo logic. @VeeFlamesNL - "I can't help but think Nintendo has lost some sales there." Which made me think maybe that's why they didn't/don't want to publish it in Q4 in the US. Rest of the world may get some sales before the free PC release. Unreal 3 is officially supported by Wii U. Unreal 4 is not. There is a difference. A very big difference. The article on this site that made that claim was wrong. My God, Nintendo, can you not keep control of your exclusives? I will admit, the game looked more like a PC game trapped on Wii U. I realised this the moment Itagaki recommended a USB keyboard. It's like Nintendo execs had a wild night with Itagaki, then later woke up with a hangover, found out they had bought the rights to Devil's Third and thought "Aww crap what are we going to do?" @Quorthon Interesting. I know I'd seen it somewhere, so I guess it simply wasn't accurate. I couldn't think of any games that used it, but a quick Google search notes titles like Arkham City, Splinter Cell, and Injustice among others do. I guess I played those on other platforms and never thought about it. Still, it seems like it'd be a better move to try it out on my PC first and see if I have any interest in it for free. It's not really my kind of game, but I may grab it cheap at some point. @dariusq I find the title interesting for precisely the reasons you've listed, but suspect the intense defense it's earned around the site revolves around its status as a Wii U exclusive. I may very well be wrong about that, but it seems that being Nintendo exclusive earns a lot of games a free pass, and had this criticism been levied at, say, something being released by EA, I don't think anyone would bat an eye at it. I do think it's interesting and cool that Nintendo has stepped in to save some games (and in the process, potentially, some studios) from falling by the wayside, and all the more intriguing for them being Mature-rated titles. I do wish in this case that the game looked better, and we were getting a better final product. I got Bayonetta 2 from my wife on my birthday (which happened to be launch day, which was awesome), and loved it to death in spite of being heavily underwhelmed by W101. I'd love for D3 to end up like Bayonetta, but I fear it won't, which is a shame. I don't mind playing mature games if they play extremely well and are a ton of fun, but I won't play a mature game for the sake of it, and it seems some folks will. @MarioPhD There are plenty of exclusives that get a heap of praise which don't necessarily warrant it. IMO Halo is by far the most overrated of them. The game is good but by no means was it ever spectacular but because Halo was so hyped in the media it got some serious undue attention. Ditto Titanfall. I also think that D3 being an M title isn't the main draw to the game, that would be Itagaki. The original Team Ninja made some very awesome games and people are interested in seeing what they've been doing since leaving Koei Tecmo. Sure TN has made some disasters before (ie. DOA Volleyball) but they've made some awesome albeit flawed games as well (ie. Ninja Gaiden). D3 is just the next offering from an previously established studio which happens to deal in exclusively M rated content. Using the Bayonetta analogy again, people also extended this kind of interest to every game Platinum games puts out be it good (eg. Metal Gear Rising), bad (eg. Legend of Korra), or unknown (eg. Transformers: Devastation). They're willing to gamble based on Platinum's/Itagaki's track record. @dariusq 100% agree about Halo. I was introduced to it following a ton of hype and its tagline of "Combat Evolved" only to play a pretty middling FPS and be incredibly bored by it. Came back to it for Halo 3, and found it impressively short and boring as well. To be honest I'd never even heard of Itagaki prior to this game, probably since I'm not huge into action games, but I can see where his following would be passionate about the title: that probably helps explain the fervor we're seeing around here as well, aside of its role as a third-party Mature (console) exclusive for the Wii U. I'd love for it to be good for the fans, but things don't look good. So almost everyone spent 2 weeks debating and complaining how NOA is not publishing Devils Third from other sources, only to find out that they are publishing it straight from them? Seems like time well wasted. What next the final version of the game is actually good? I just hope that 4Q don't leave NA too far behind in the online matches. @DiscoGentleman Aye, only speculation, but it's getting harder to come up with any other explanation. Your assessment makes the most sense, so far. Hopefully, the full Wii U game won't have broken online, or anything. To echo several others, it'd be rad to have cross-platform play, but I'm not holding my breath for it. @ultraraichu "What next the final version of the game is actually good?" Man, I sure hope so. Anything less, and this will really have been a waste of time. @97alexk Do yu mean people commenting Nintendo going 3rd party or it doesnt make sense people would make those comments to begin with. Either way I have already have seen the comments. It is just people not reading articles to see Nintendo is not even publishing the PC version. I'm not saying their comments will make sense just saying there will be comments. Seeing as I was only interested in the multiplayer I will def give the PC version a go. I really think Valhalla is setting themselves up for failure here. Nintendo scooped up Bayonetta and the three Sonic's for exclusivity - obviously Nintendo is aware of the PC version and is ok with it not wanting to take on full responsibility for the title. My guess is they felt the title would need an additional boost in sales so they allowed valhalla to do what they needed to. That being said they've been through a lot of publishers now and I feel strongly it will be hard to secure a reputation in the future. The PC thing was known ages ago. @ottospooky you do realize NOA just confirmed it's retail, right? People will simply try out the PC version before buying the Wii U version, given that there are so much uncertainty with regard to the game's quality. Prediction: This game will not sell well on Wii U.
Yeah, the shooter fan-base didn't take as quickly to the Wii U as Nintendo had seemed to hope. So it's probably a good idea to have the game also available on PC. That crazy device everyone has. well if Nintendo helped to fund it's development and had the exclusive publishing rights then they may have agreed a deal with Valhalla that to give up that exclusivity Nintendo would receive a percentage from in game content sold on PC. Without Nintendo's intervention Devils Third would be the sort of cold case to be documented by unseen 64 so they do deserve some remuneration for that loss. Announcing the PC release after E3 may have been a condition of the deal. That might be why there was zero mention of the game at E3. Considering this ws originally a PS360 title... I'm wondering why they didn't just do this and not bother to go through with a Wii U project in the first place. The game wasn't built from the ground up for Wii U, so it was bound to run into issues, even if Nintendo offered assistance. @Damo - I know you guys aren't the biggest fans of editing or updating articles, but maybe TW can slip this official Nintendo link in at the end of this one and nobody would be the wiser. This what you were looking for @FunkYoSelf @BLPs ? Well this is surprising. I'll try it on pc to see if I like it. If I do like it then I'll shell out the money for the "full version" on the Wii U.